The veteran actor who is now making waves with both Pakistani and Bollywood productions in tow, Humaima Malick has made it big with her flawless style and smouldering look. With her latest Bollywood endeavour coming almost to a close, Humaima Malick is in India for shooting the song of “Raja Natawarlal” alongside the heartthrob Emraan Hashmi. 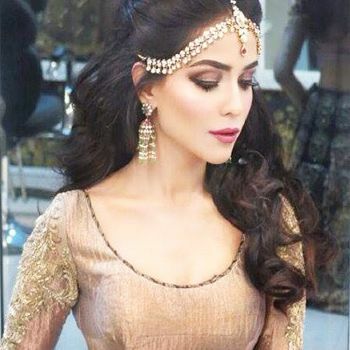 Humaima Malick recently dazzled once again in Elan at her sister Dua Malick’s wedding. Flaunting her curves in an Elan ensemble Humaima pulled off a stunning rosy pink make up look by Natasha Salon and jewellery by Sheherzad. Humaima is all set to get her acting spirit on the go with this Bollywood production and the Pakistani production Arth 2.